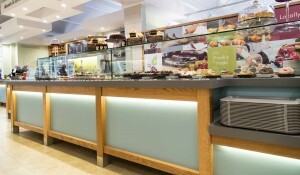 A warm welcome awaits you at this new restaurant in Farnham. 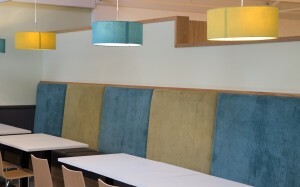 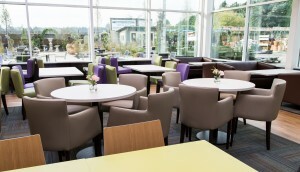 Our interiors team have created a large welcoming restaurant, located within the sizable garden centre. 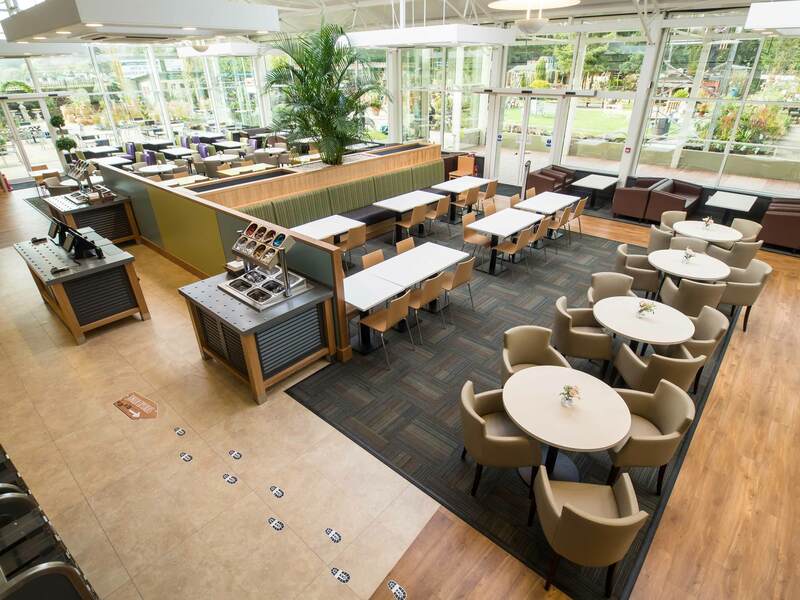 With a new extension provided to allow feature seating areas, indoor planting and views out to the Garden Centre retail area. The bright and airy restaurant effectively brings the outside in, with the mixture of bold colours on both the counter areas and seating. 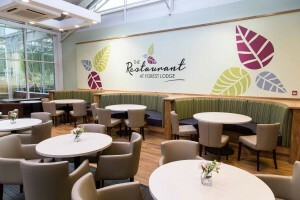 This family restaurant includes a dedicated children’s area, which can be found by following the junior explorer’s footprints. 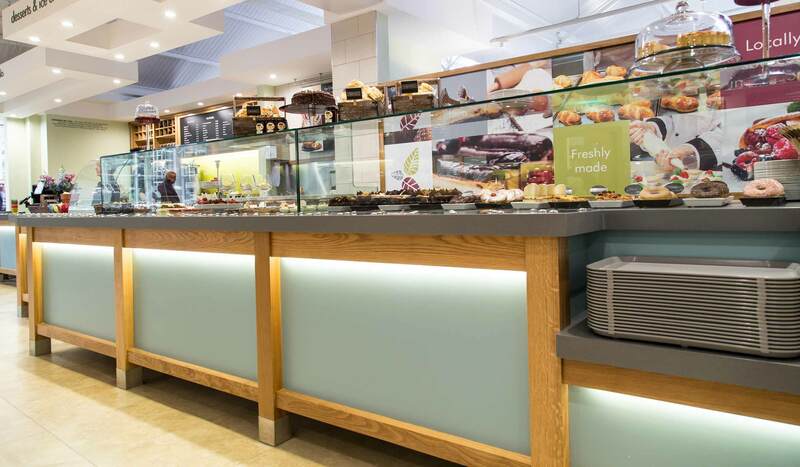 By working closely with the client, shop fitters and catering suppliers throughout this project, the design evolved to create a unique restaurant, which met the client’s expectations and delivered the complete project on time.